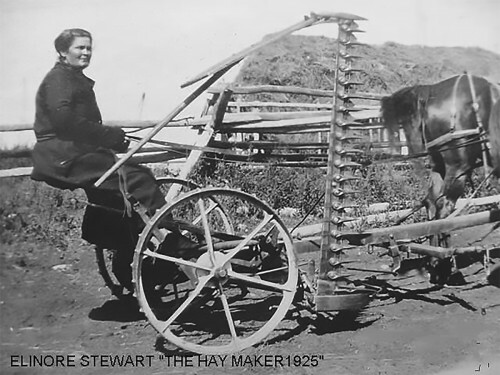 Elinore Pruitt Stewart documented her life as a woman homesteader in Wyoming. In the early 1900s, Elinore Pruitt was the ultimate single mother in search of a better life for herself and her young daughter in the Chickasaw Nation, Indian Territory of Oklahoma. She took a position as a domestic for a widowed schoolteacher in Denver, Colorado, but an ad in the Denver Post caught her eye and changed her life forever. Clyde Stewart, a rancher in a small Wyoming hamlet known as “Burntfork” was seeking help to run his homestead ranch following the death of his wife. Not only did Pruitt and Stewart meet, but they also married, and, under the Homestead Act, Elinore filed her own 160-acre claim near his. Although single women made up roughly 12 percent of all homesteaders, what set Elinore apart from the others is that she documented her homestead experiences in southwestern Wyoming in numerous detailed letters and stories that were frank, vivid, eloquent and perceptive. Two collections of Elinore’s writings were published as Letters of a Woman Homesteader, which was the basis for the film “Heartland,” and Letters on an Elk Hunt.